Terrorism is a growing concern and threat to our lifestyle in Australia. It impacts on our private life and how we do business. Australia is not immune to terror attacks and as such our government are constantly assessing and reviewing our terror threat levels. The Australian government uses the following 5 National Terrorism Threat Levels to indicate the threat environment. CERTAIN – A terrorist attack will soon occur or is underway. EXPECTED – Credible, specific intelligence indicates a current intention, capability and plan to attack. A terrorist attack is expected. PROBABLE – Credible intelligence indicates a subject is the target of terrorists with an intention and capability to conduct an attack. A terrorist attack is probable and may occur. 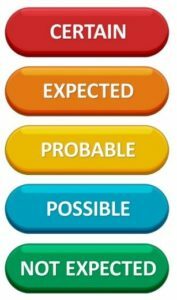 POSSIBLE – Credible intelligence indicates that while a subject is a possible target of terrorists, there is limited intent or capability to conduct an attack. A terrorist attack is possible. NOT EXPECTED – There is no indication of any terrorist threat. A terrorist attack is not expected. The National Terrorism Threat Level has not changed since September 2014 when it was upgraded to PROBABLE. There have been 4 actual terror incidents which have grabbed the nation’s attention but there have also been at least 12 thwarted attempts. In the current environment with terrorism a real part of business life and we need to adopt a more proactive and holistic approach to the increase the security team’s effectiveness. In most cases organisations should already have plans in place to deal with elevated National Terrorism Threat Level. Below is some guidance from the National Guidelines for Protecting Critical Infrastructure from Terrorism (Australian-New Zealand Counter Terrorism Committee). This guidance can be adapted and customised for a range of organisational types and risk. 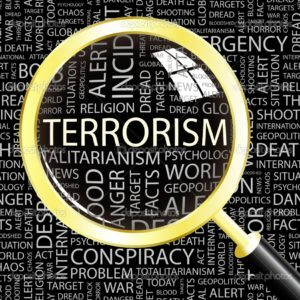 Terrorist attack is not expected Identify the risks associated with the normal business operating environment, for example criminal activity, natural disasters and accidents. have the necessary systems, plans and processes in place to respond to increased levels of risk or threats. detect and respond to security breaches within 48 hours. detect security breaches within 12 hours. deploy additional security resources, particularly on entry/exit points. detect and respond to security breaches as soon as possible. For further information or assistance in planning for an increased threat levels contact Agilient.